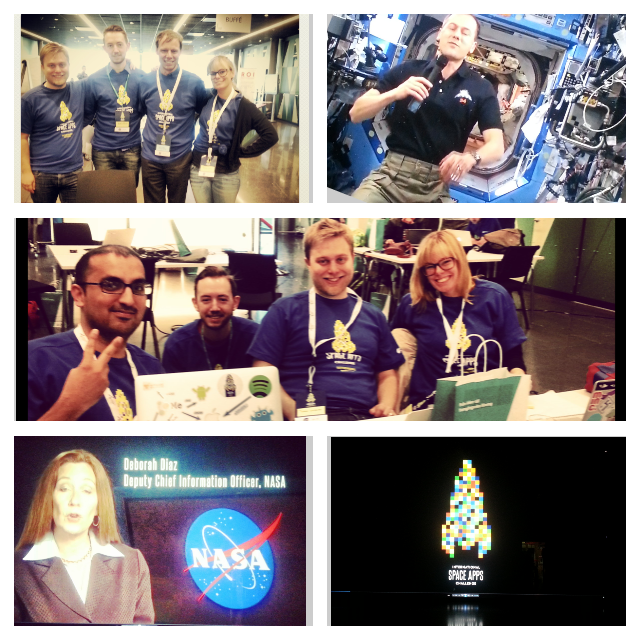 This past weekend, a team from Neo Technology participated in the NASA Space Apps Challenge. Pernilla, Tobias, and Mattias from Neo Technology joined forces with our friend Hatim, who is an organizer of the Stockholm Neo4j meetup group. 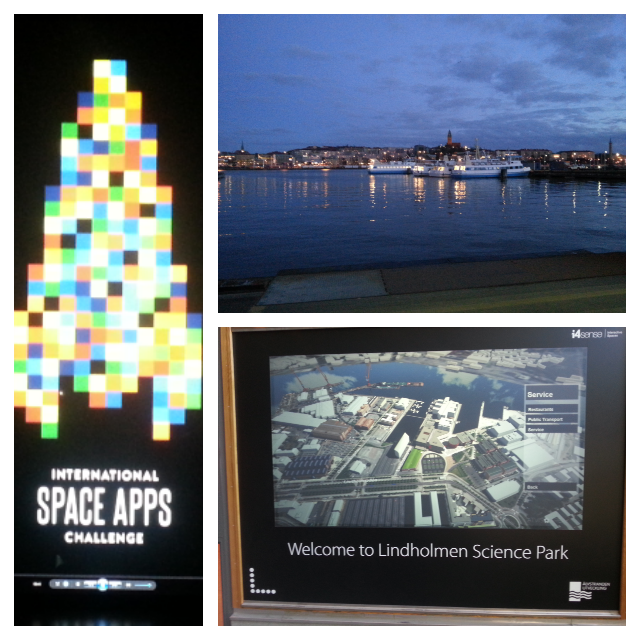 Together we joined the event in Gothenburg, and formed Team Awesome (team name was not where we spent our imaginative energy) to tackle one of the challenges NASA threw our way. Our proposed approach to the problem was to make it really simple for your everyday person to contribute findings of Near Earth Objects to these databases. The data used for tracking these objects contain many complex numbers and terms that you’d have to be at least a hobby level astronomer in order to understand and be able to calculate. After having spent some time analysing the meaning of these numbers we realized that much of it could be computed given the exif data present in photos taken by modern cameras. We set out to build a service that allows user to upload photos of objects they’ve seen in the sky. The service would then use the exif data from the photo to compute where this object has been seen and when to match up other potential sightings of the same object. These possible matchings would be presented on the web site for users to, in a crowdsourced way, determine which photos were of the same objects. 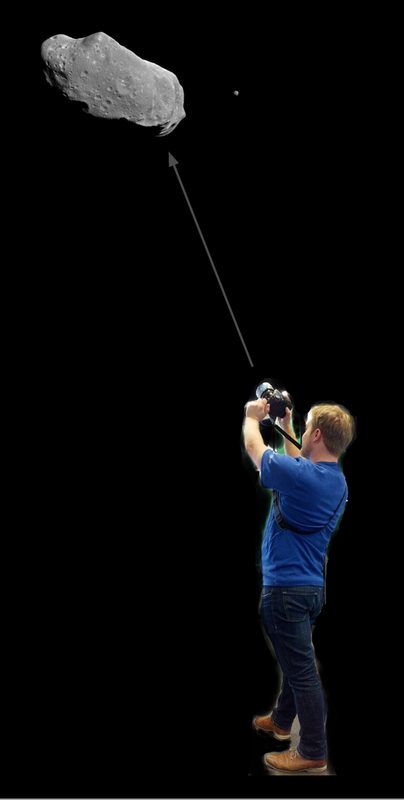 Given multiple photos of the same objects, the system can compute the exact location of the object in space, as well as its direction. This allows the system to find even more possible matches, which when verified, further improves the accuracy of the computed data, and allows for the computation of the arc of the object, etc, giving us all the data used for tracking Near Earth Objects. Essentially taking all the hard parts out of the process and making discovering Near Earth Objects easy and fun. While we didn’t get much further than the above idea description and a crude mock up of the web app, we don’t think that it would be a very hard project to pull off. Had we done the research before arriving in Gothenburg, we would have probably made pretty good progress towards our end goal. As things are now, most of what we have to show of our work is the presentation we made for the closing of the event. Successful app or not, we still had a great time. It was wonderful to get to spend some time on a challenge from an area where we don’t usually work, it was a great learning experience. But possibly even more rewarding was all the interesting people that we met. Not just the other participants and the amazing organizers, but Olle Norberg of The Swedish National Space Board (Rymdstyrelsen), and of course Christer Fuglesang, Sweden’s only astronaut, were a privilege to get the opportunity to meet and talk with. It’s not everyday you get to pitch your space app idea to someone who has actually been in space.